To view 2 more pictures, interactive maps and the full, detailed description of the Summer Creek Estates community, please Login. The greatest property value in Suffolk can be found in the waterfront community Summer Creek Estates. 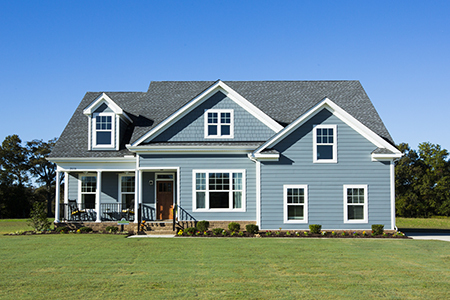 Real estate here is certainly not the norm for what you may expect in Hampton Roads, VA. With homes starting at $343,900 and lots starting at 3 acres, Summer Creek Estates is truly an amazing value that can be considered a rare real estate opportunity. 55 homeowners are afforded this unique option of building an estate for generations to enjoy at a fraction of the cost of most properties of its size. Waterfront is a bonus in this community of homes that borders scenic Cedar Creek. With each homesite in Summer Creek Estates having a minimum of three acres, homebuyers can really customize their home and their landscape to their personal needs and preferences. Wooded, water view and waterfront homesites are available for the pickiest of homebuyers. Providing quality built homes is Wirth Living, a local and highly-respected new construction builder. Wirth Living has a nice variety of home designs that can be customized to a homebuyer's preferences. If Wirth does not have your exact desired floor plan design, they are willing to work with you to obtain the "perfect" plan for you. The options available to homebuyers at Summer Creek are endless. At Summer Creek Estates, enjoy country-living without the sacrifice of modern conveniences. Homeowners in this neighborhood can easily access great shopping and entertainment at Harbour View. The ultramodern Sentara Obici Hospital is nearby for those working in the medical field. Members of the U.S. military won’t have far to travel when driving to Norfolk Naval Shipyard, Naval Medical Center Portsmouth and Coast Guard Base Portsmouth.Outdoor enthusiasts can take advantage of the Nansemond River, where they can go boating, fishing and Jet Skiing. There’s nothing boring about life in this small town; it’s about making connections that count. Quality affordable homes with acreage to claim as your own is a reality here at Summer Creek Estates. Send me more information about the Summer Creek Estates new home community.